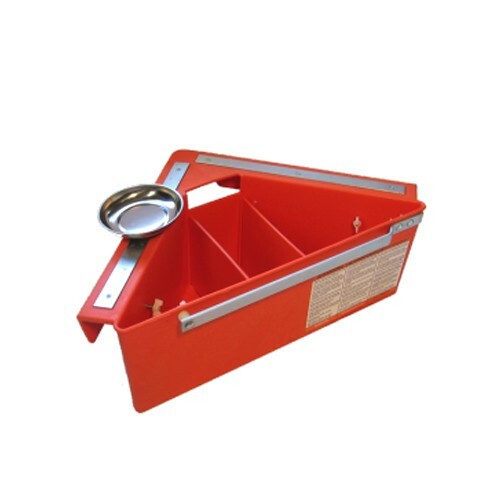 The Aerial Tool Bin offers a safe and efficient way of storing your tools at waist height while on a variety of Man-Lifts. It is designed to be used on: Aerial Platforms, Scissors Lifts, Boom Lifts, Scaffolding, Swing Stage Railings, and Mast Climbers. Magnetic tray for fasteners, connectors, etc.